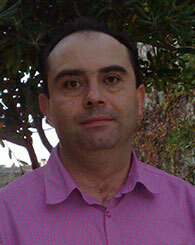 Sebouh Aintablian is an assistant professor of finance. He has a PhD in Finance from York University in Toronto, Canada, in addition to a BS and MS in Business Studies from the Lebanese American University. His research interests are centered around topics such as foreign currency borrowing, market response to announcements of mergers & acquisitions and corporate loan announcements, in addition to stock market performance. He has been a consultant for the finance and budget committee at the Lebanese Parliament since 2010. Taught the following courses in the Executive MBA program: Working Capital Management, Long-term Financial Policies, Capital Budgeting, and Portfolio Theory. S.Aintablian & Roberts, G.S.(2000). A Note on Market Response to Corporate Loan Announcements in Canada. Journal of Banking and Finance , 24(3), 381-393. Roberts, G.S. ,Vijayraghavan, V. & Aintablian, S. (2002). Stock Index-linked Debt and Shareholder Value: Evidence from the Paris Bourse. European Financial Management, 8(3), 339-356. Aintablian, S. & Chamseddine, B. (2006). The Impact of Holidays on Stock Market Performance: Evidence from Jordanian and Egyptian Stock Markets. Journal of Development and Economic Policies, 8(2), 5-35. Aintablian, S., McGraw, P.M. & Roberts, G.S (2007). Bank Monitoring and Environmental Risk. Journal of Business Finance and Accounting, 34 (1-2), 389-401.